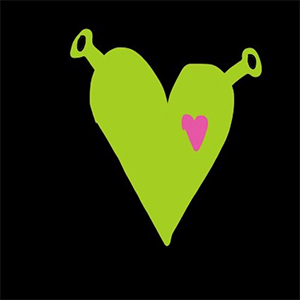 Comedian Richard Herring has a rule that anything can be improved by putting a Shrek in it, and Los Angeles band Shrek is Love seem to have taken this to heart. Not only have they gone and put a Shrek in their music, it is the very soul of the music. On their debut EP, Vol. 1: This Is My Swamp, the quartet has crafted a loving, completely earnest (if somewhat tongue-in-cheek) tribute to the Shrek universe. As difficult as it may be to try and take a project like this seriously, the music does remarkably stand up well enough on its own as solid, artistic R&B worthy of attention. The three songs (all over five minutes long) feature experimental jazzy grooves that are as strong as the fantastic vocals provided by Michael Mayo. Although the final song, “Fiona,” may stand out as a touch humorous in its slow ballad seriousness, it must be stressed that the musicianship is legitimately impressive, especially on a song as complex as “This Is My Swamp.” If Wizard rock, and the proliferation of Harry Potter bands in recent years is anything to go by, one can only hope the successive Shrek-themed musical acts are at least as half as talented as Shrek is Love.